This Albert Hall gig sold out in days when it was first announced last October. 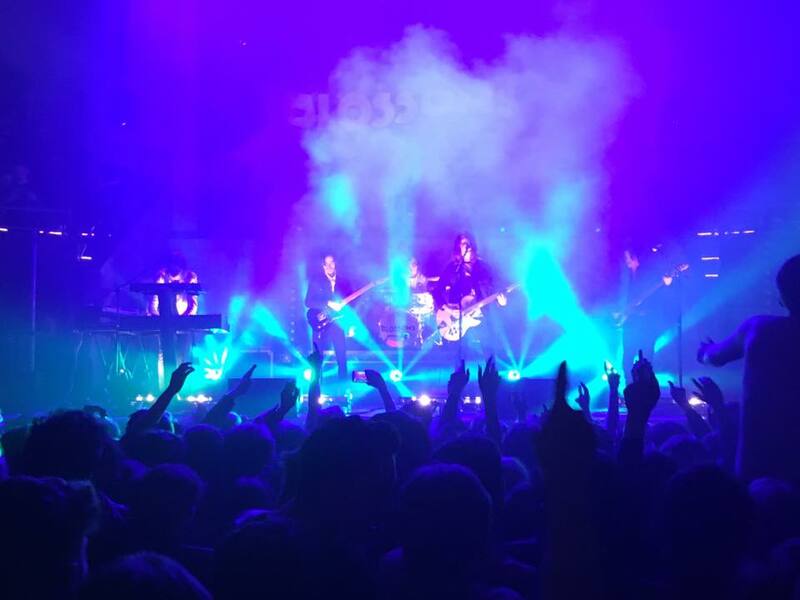 Since then, Blossoms have become mainstays of radio playlists with Charlemagne and At Most A Kiss as well as appearing on the BBC Sound of 2016 poll and tonight's gig is the next stepping stone on the way to the country's biggest halls and the top of the charts. The evening opens with a beautiful tribute to Viola Beach who were supposed to be in the opening slot on this tour until their tragic death in Sweden in the middle of the tour. It has to be said that Blossoms and the wider music community's response to the tragedy has been magnificent and playing a recording of their last set in the UK before their accident with a light show is a perfect way of commemorating a band that were on the brink of becoming a household name. 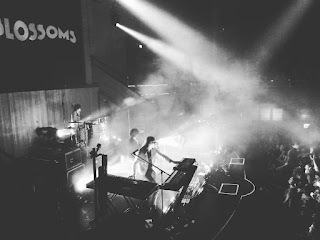 Songs like their singles Boys That Sing and Swings And Waterslides and unreleased ones such as Go Outside and Drunk are the sound of a band doing what they love and having fun doing it. There's a few of us with something in our eye by the end of the set whilst others choose to honour them by dancing. Hopefully Kris, River, Tomas, Jack and Craig were looking down on us. Once we've dried our eyes and composed ourselves, The Vryll Society come to make us dance. They make the transition from small club to this big stage far more easily than we might have first thought. Their big swirling sound fills the room and the likes of Beautiful Faces, Great White's Fin and their closer Clear Blue Skies are huge psychedelic anthems and laced with grooves that get people moving. Their front man Michael is a bundle of unstoppable energy, refusing to stand still for a single second until he leaves the stage to his band mates for a two minute outro at the end. They might not have the radio friendly singles of many of their contemporaries, but don't need them when they've got a sound and a vibe this powerful. As it approaches nine, the room fills up and Blossoms make to the stage through huge lights and smoke. The roar is almost earth shattering and the minute they kick into Cut Me And I'll Bleed it feels like the Albert Hall's floor is going to give way. When they follow it with At Most A Kiss the place erupts, the mosh pit goes all the way back to the sound desk and young and old are joined in celebration of a band that are fast becoming the hottest young band in the country. 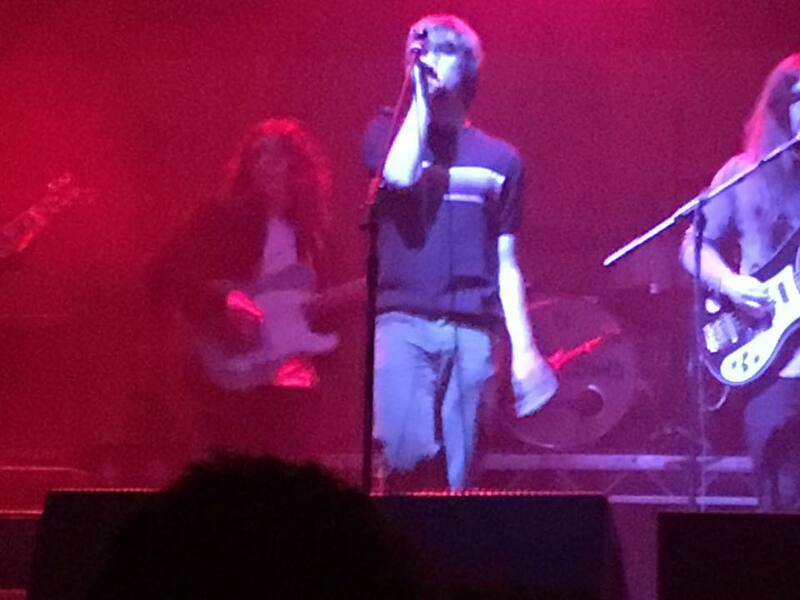 Whilst there's the parochial chants of Manchester and a City Wembley song whilst they set up Tom's keyboards at the end of the set, the band are proudly from Stockport and their reach spreads way beyond the ten boroughs in a way some of the region's bigger bands have struggled to do. They don't give away too much about the new album, focusing on tracks such as Polka Dot Bones and Across The Moor from the Charlemagne EP and Misery from the At Most A Kiss EP as well as a cover of WSTRN's In2 that they performed on the Live Lounge recently. There is one new song played for the very first time. At the end of Getaway Tom asks a girl at the front why she's singing along to it; the answer is that we were too, because it's so immediate that the chorus is stuck in your head before the song's even finished. But whether the songs are new or more familiar like the massive brooding Smoke, that quintessential English vibe of Blown Rose, their first single You Pulled A Gun On Me that the audience sing along the guitar line to or the acoustic delight of My Favourite Room where Tom and Charlie meet at a microphone to add a line from the Bunnymen's Nothing Ever Lasts Forever, it's evident that Blossoms haven't yet released a single song that drops from their high standard. 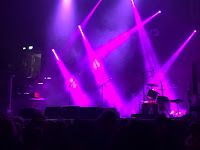 They finish with the duo of Charlemagne, which brings out the no pyro no party idiots with a flare, and the sublime Blow, a Resurrection for this generation as they kick back into the song, Charlie jumps astride the drum riser and they leave us wanting for much more as we filter out. We then hotfoot it down the road to Sound Control where the boys are doing a DJ set preceded by Tom performing a short acoustic set. The vibe is weird at first, some lads a little more excited by Liam Fray's presence in the building than they are by the fact that Tom's singing and some of the guest list loudly telling the security that they should be allowed closer to get a better view, but both parties are soon silenced and Tom strips down Blown Rose, My Favourite Room, Charlemagne and At Most A Kiss to their barest bones. It's testament to the undeniable quality of the songs that they work with all those layers peeled away. Tom's then joined by Liam for the Courteeners' Please Don't and the two embrace at the end in what almost feels like a passing of the baton before finishing with Blow. We then get a fascinating insight into the band's influences in a DJ session that touches so many bases and proves that the best bands have the best record collections. The only question we're left with at the end of the night is whether they'll go to the Academy next or straight to the Apollo after the album is released in the summer. 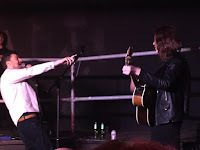 Blossoms are destined for the very biggest stages, there's an unstoppable momentum behind them now and they take every step up with absolute ease whilst remaining approachable, engaging and remembering where they've come from.